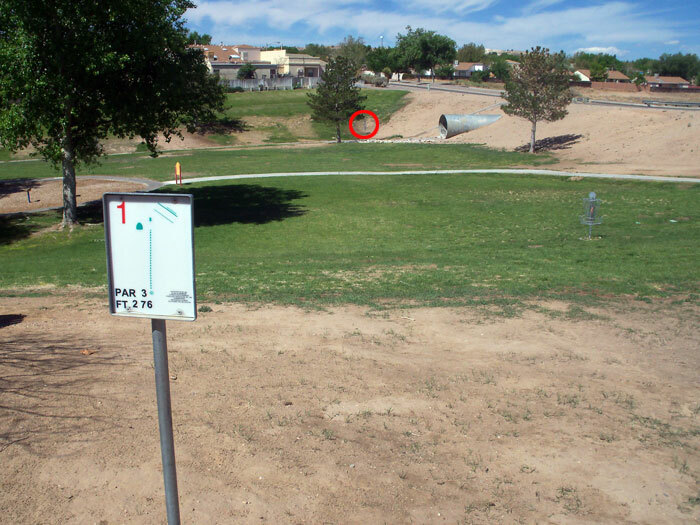 Although I've found the Brent Baca course to be my favorite in Albuquerque, there are several in the area and I've been searching them out on the weekends. The following are a few I've tracked down and played at. There are two courses close to each other in Rio Rancho. First up, Vista Hills Park. 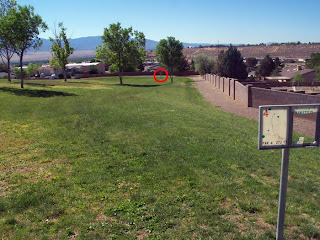 This mini 9 hole course is set up on a very small piece of land and definitely here for the novice player. The main issue is having peoples' backyards on one side and a busy road on the other side so on practically every drive you're worried about your shot sailing over the wall or getting run over by a car. This would be a fun little practice course if you lived in the area, but that's about it. Couple of miles away is another 9 hole course in a residential neighborhood, Canyon Park. Not sure whose idea this was, but this course is laid out in what appears to be a narrow drainage wash between rows of houses. Many of the tee signs were missing as well, so not much fun here. Much further South in Edgewood is Wilderness West Park. 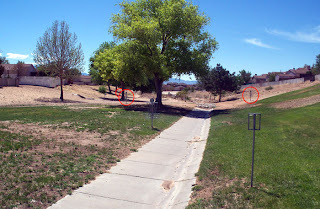 Formerly a 18 hole course, the park recently removed the back 9 and leaving just the front 9. 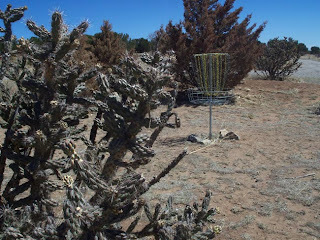 Wilderness West had plenty of land to work with and used by having both a pro tee box and amateur tee box for every hole. Nice. 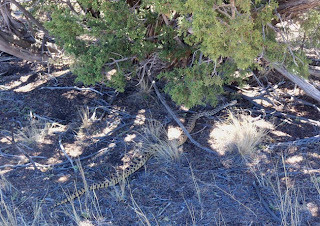 A pair of work gloves would have been handy as there was cactus everywhere. All was well until I turned from the basket, started heading to the next tee and saw this guy. This snake was at least 6 feet long and crossed right in front of me. Color me freaked out. 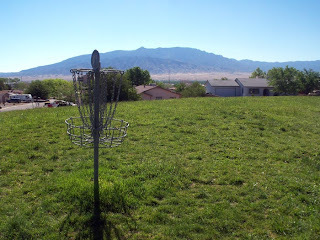 I was now hesitant to throw back into the brush and finished my game throwing to the open field baskets. Wouldn't mind playing this course again, just not by myself again. Perfect, this is exactly what I've been looking for, I've been wanting to play disc golf in Albuquerque but have been unable to locate any local courses. Great blog, appreciate it.